A cellular booster is the perfect holiday gift! Give the gift of communication this year with a cellular signal booster from weBoost or one of our other cellular partners. A cell booster won’t just go in a drawer, it won’t be forgotten next year when the new thing comes out, and it won’t ever shrink in the dryer. What it will do is blanket a home or office with reliable cell signal which is really what everyone wants. If you have a cellular signal booster you don’t have to care about missing calls, and you don’t have to worry that your guests will have to choose between visiting you and staying connected. You won’t have to share your Wi-Fi password with guests just so they can use their phones, either. A cellular signal booster does something magical — it takes a weak signal outside and turns it into a strong signal inside. If you have even one bar outside, put up an outside antenna and your cellular signal booster will turn it into full bars inside the house by using a powerful and smart amplifier to get you the signal you need. Cellular signal boosters are easy to install and work with all major carriers. You can choose one that boosts voice only if you’re one of those people who still makes calls using your phone, or choose one that boosts voice and data so that you get the benefit of fast downloads, voice-over-LTE, and other next-generation services. 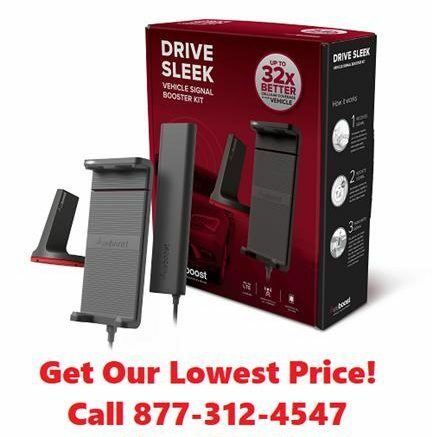 Cellular signal boosters work just as well in cars and RVs, giving you the maximum boost so that your calls get through even when you’re stuck on the freeways with thousands of other people. A strong signal is important whether you’re trying to get help in an emergency or just if your kids want to stream in the back seat. Remember, if they’re not looking at their screens they might actually start interacting with each other, and you know what that means on a long trip! No matter which cellular signal booster you choose, no matter which application, you’ll want to get one for yourself and one for that special someone in your life who always claims “no service” in the house. This is the perfect time to find out if he’s telling the truth or if he’s just ignoring you.